The Environmental Education Centre of Corfu is participating in the 2-year (2012-2014) European Grundtvig programme for carrying out research entitled “Experiential Learning in Historical sites and museums” A framework for practical co-operation activities between organisations from Italy, Belgium, Turkey, Romania and Lithuania, working in adult education. It is a transnational project that aims to develop experiential learning activities in museums or historical sites in rural areas through exploring new guidelines which will enhance implement training pathways so as to enable these sites ‘come alive’ and boost the number of adult visitors. 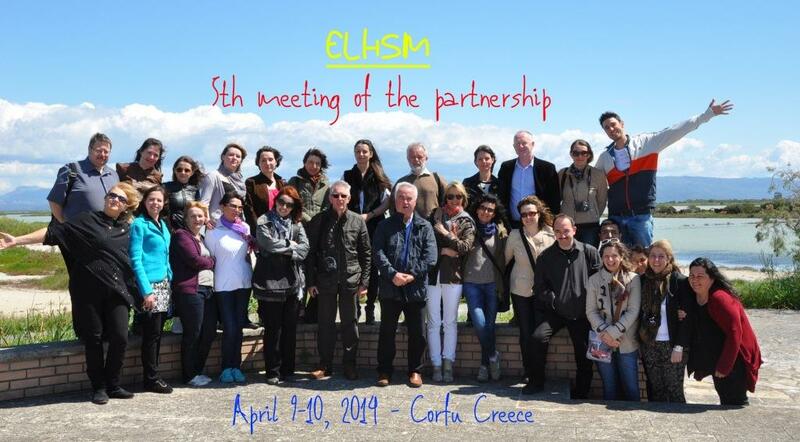 The section of these educational paths being undertaken by the Greek team in collaboration with the Lithuanian team was presented in its final formulation during the meeting of all members held in Corfu from 8/04 to 11/04 at the Environmental Education Centre of Corfu at Alykes Lefkimmi. Our partners were able to visit the Achillion Museum, the Old Fort, to experientially experience the Old Town- UNESCO World Heritage, lasting a very short time through a pre-cut path with the use of tablets providing basic information which had been installed as well as precise coordinates of the monuments to be visited. Additionally a visit was made to the agrotourist property of Ambelonas (the Vineyard at Triklino) a village in southern Corfu called Chlomos and Lake Korission and finally Lefkimmi as well as the historic area of Alykes, where the centre- premises are located. During their stay, a rich cultural exchange of presentations, experiences, songs, drinks and meals took place as well as collaborative creative activities such as the making of soap and a photography contest; whilst at the same time a constructive partnership took place regarding the final steps of the project’s completion to be submitted July month end deadline. From: Environmental Education Centre of Corfu.